HP OfficeJet 7110 Colour Large Format Printer, Inkjet, 33ppm, Wireless, Black. Widen your printing possibilities with an affordable, reliable HP ePrinter that produces professional-quality marketing materials in sizes from 3x5 to 13x19 inches. Count on time-saving convenience with wireless printing and easy networking. Affordable, high-quality, wide-format printing up to 13x19 inches; time-saving features in a space-saving design; wireless printing and networking. - Print professional color in a wide range of sizesâ€”from 3x5 to 13x19 inchesâ€”for an outstanding value. - Create borderless flyers, brochures, marketing materials, and more in-houseâ€”for less than a print shop. - Count on Original HP inks to deliver fast-drying, water-resistant documents that stay vivid for decades. - Print everyday documents at a low cost per page, using high-yield black and individual color ink cartridges. - Reload less often and handle high-volume printing, using high-capacity ink cartridges and large paper trays. - Preserve your space with a compact ePrinter designed to fit where you want itâ€”close at hand or out of the way. - Depend on HP for reliable productivity. This HP ePrinter was designed for volumes up to 800 pages per month. - Print wirelessly on your office network and share this HP ePrinter with other wireless-enabled PCs. - Print from your smartphone or tablet from virtually anywhere with HP ePrint. - Add this HP ePrinter to your Ethernet network to easily share with your workgroup. - Give your smartphone a print button. Use the free HP ePrint app to print directly from your mobile device. Save energy without sacrificing performance. This printer is ENERGY STAR qualified and rated EPEAT Bronze. - Save up to 50% on paper costs, using optional automatic two-sided printing. 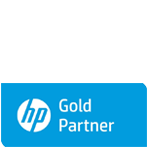 - Reduce your impactâ€”easily recycle your Original HP ink cartridges for free through HP Planet Partners.